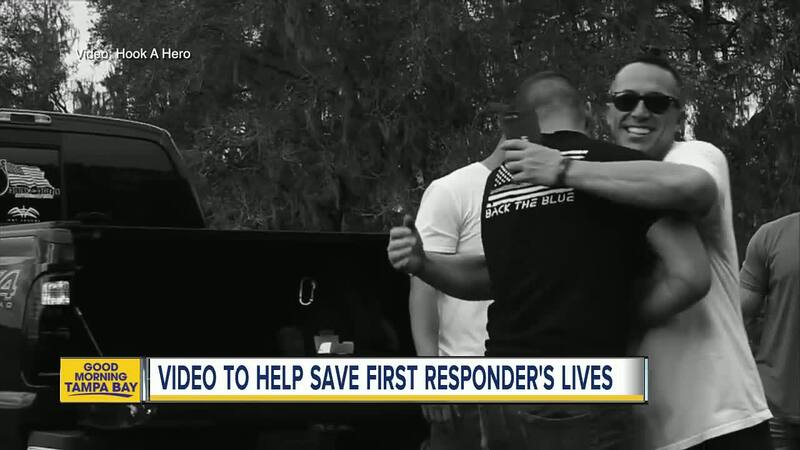 A local non-profit is working to tackle an epidemic hitting Tampa Bay area first responders. TAMPA BAY, Fla. — A local non-profit is working to tackle an epidemic hitting Tampa Bay area first responders. Hook a Hero released a video in hopes of helping men and women in uniform who are struggling with suicide. The non-profit, which is for first responders by first responders, is not affiliated with the Hillsborough County Sheriff's Office but several members involved are current deputies who say they want to help anyone having a hard time. "With the job there's a certain stigma, you can't really talk about it you got to be tough," Hook a Hero member Logan Skjefte said. As of December 30, 243 first responders have committed suicide. Most recently, a Pinellas County deputy was found dead at his home. "One is a lot. two is entirely too many.…it’s important, I mean guys....just don’t realize the effect it’s going to have on their families …their friends," TJ Romano, a Hook a Hero Founder, said. For more information on Hook a Hero or to reach out for help, visit HookAHero.com . Those in need of help or in crisis, can also call the national suicide prevention lifeline at 1-800-273-8255.